of music in all my students. As a piano and music instructor I believe in a thorough education of music including: repertoire, theory, development of listening skills, technique, sight reading and performance. Piano study isn't always going to be easy, but it always should be satisfying. I believe we have the responsibility to share the music we love with the world. I support my students by giving them plenty of opportunities to perform (workshops and recitals) and to be part of helping others to improve their performance skills. 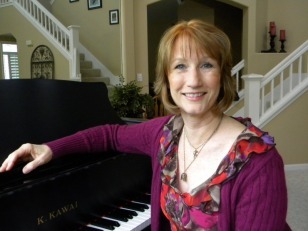 Gwen's Piano Studio is located in northwest Santa Rosa a short distance off highway 101. Please call (707) 477-3589 for more information about piano lessons and a free consultation.